This feature is available since the 1.7.0 version. Click the cog icon button next to the Images label and from the menu that will show up pick the Change Images Download Folder option. In the file dialog pick a folder and confirm. 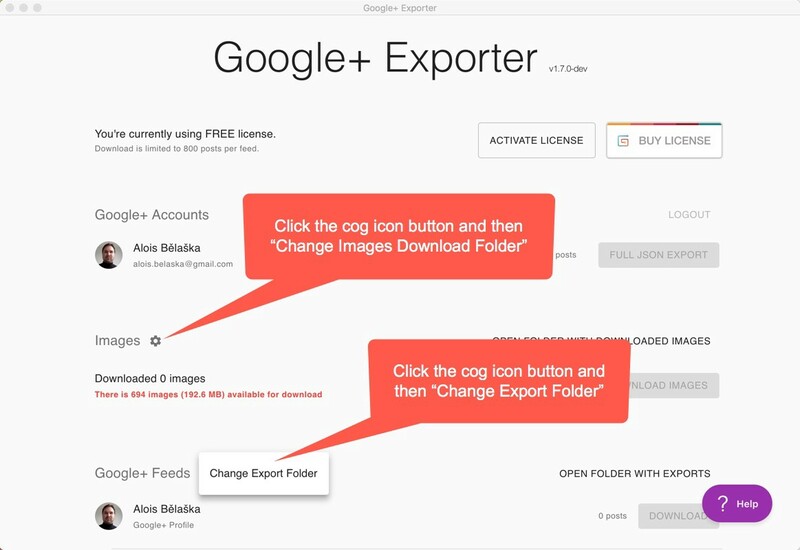 Click the cog icon button next to the Google+ Feeds label and from the menu that will show up pick the Change Export Folder option.